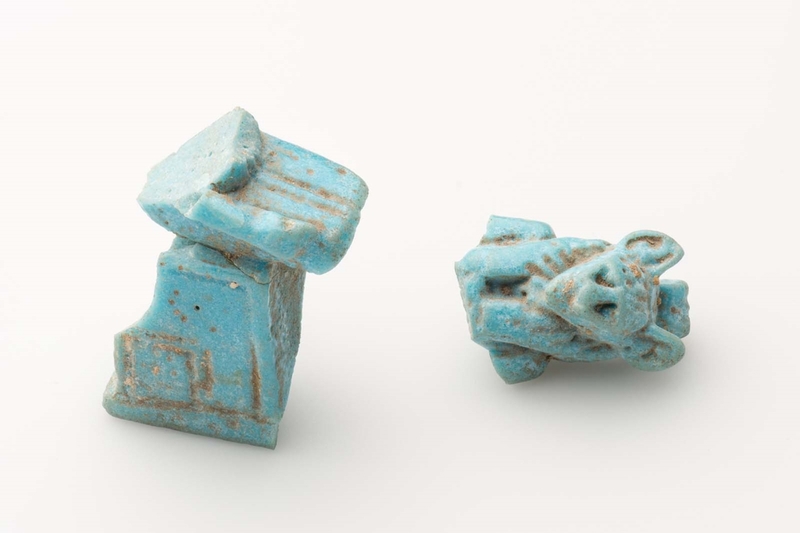 Blue glass-paste amulet of cat-headed Bastet, in two fragments. Found in three pieces (01/04). From Giza, G 7817. 1931: Excavated by the Harvard University–Museum of Fine Arts Expedition; assigned to the MFA by the government of Egypt.